For this dish, I quite often blanch the spinach and then chop it finely, but this time I am going to omit this step. If you wish, you can use the leaves whole but I will cut mine into thick shreds. First, separately toast the cumin and coriander seeds in a dry pan over medium heat. 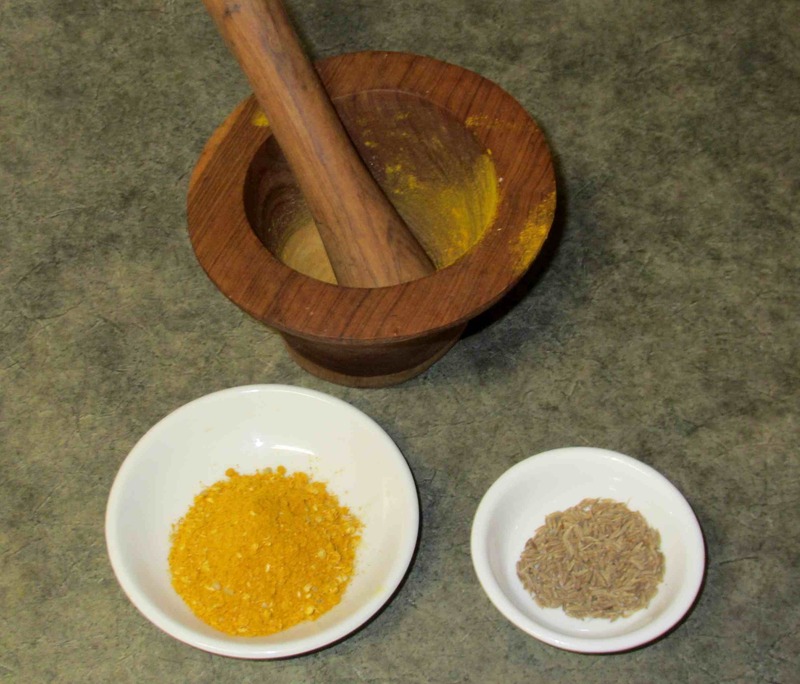 Grind the coriander seeds and mix them with the Cayenne pepper and Turmeric. 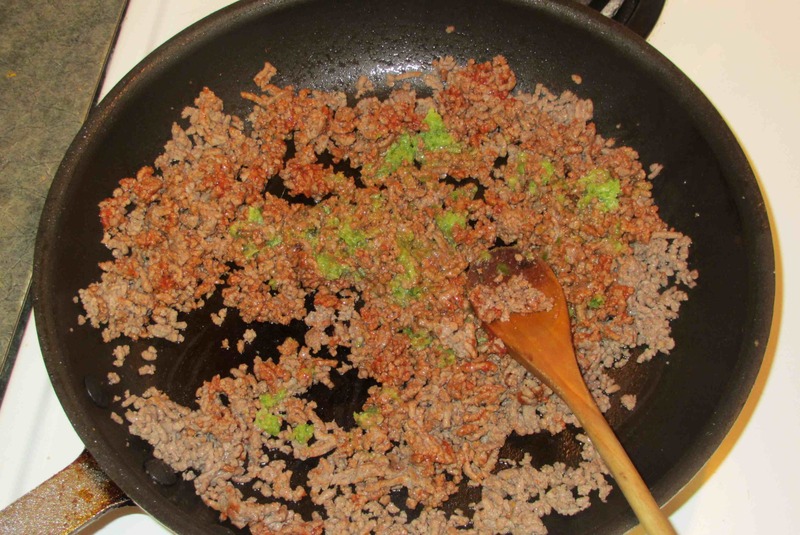 Brown the minced meat in a sauté pan and then drain off the excess fat. 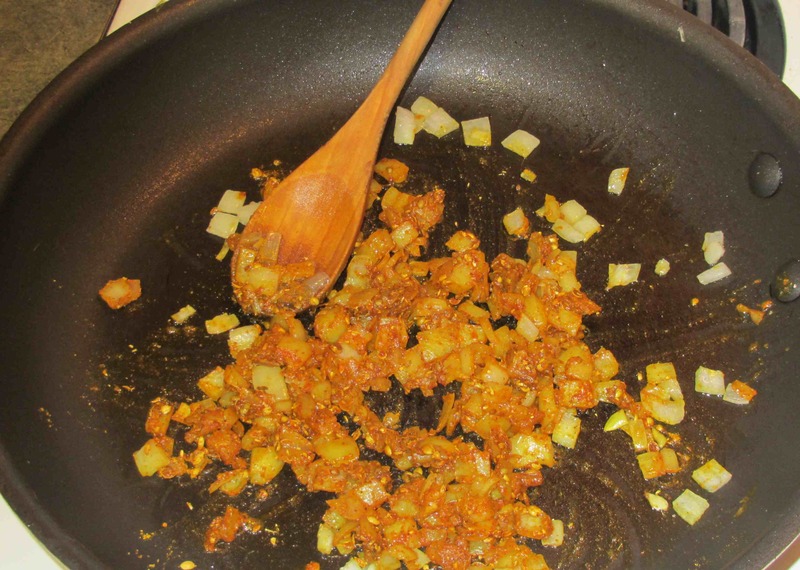 Add the Cumin seed, Tomato paste and the Chili-Ginger-Garlic paste and stir well until incorporated and cooked through. Remove to a bowl and set aside. Heat a few tablespoons of oil in the pan and add the onion. Sauté until it is soft and then add the dry spice blend. Stir until the aroma is released and then add the spinach leaves and a few tablespoons of water to make some steam. 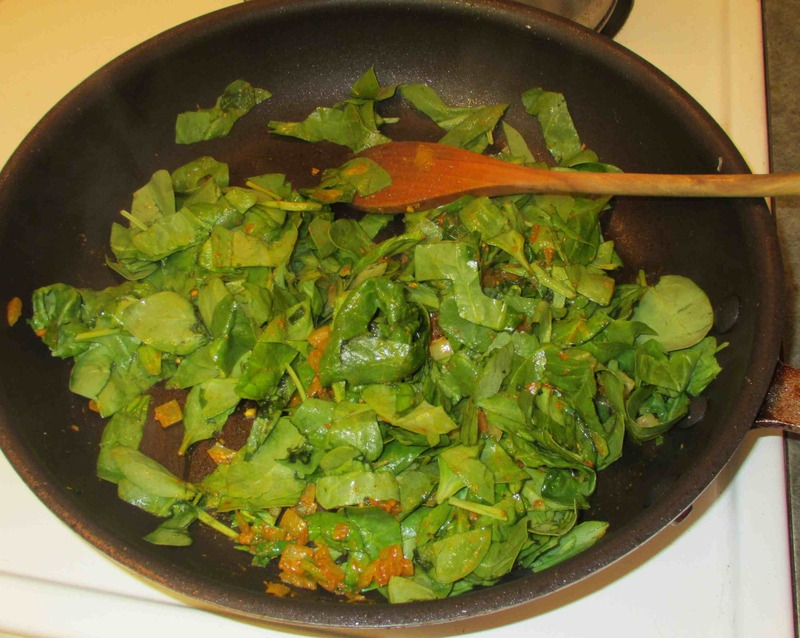 As soon as the spinach is nicely green and beginning to wilt, add the meat mix back into the pan and stir well. Finally, add the cream and a half-cup or so of water. Continue to cook over medium heat until everything is heated through and the liquid is almost entirely absorbed. At this point, you can serve immediately but this is a dish that improves very nicely if you allow it to cool and then reheat for later service. Looks delicious ! 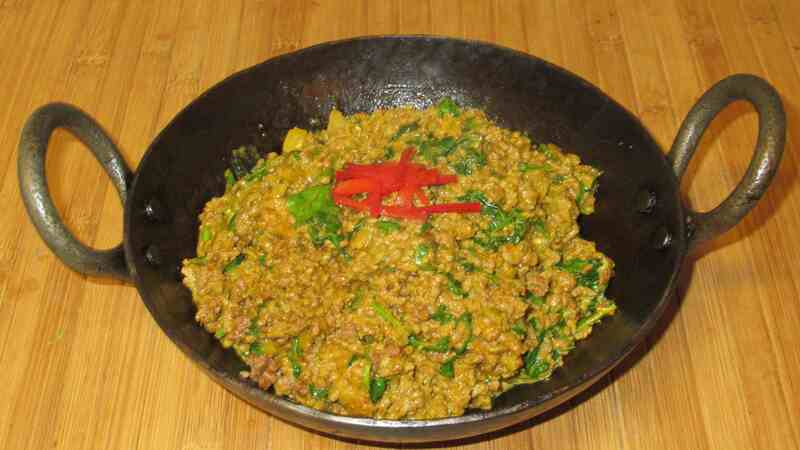 The kheema (or khimo as we call it) is a dish that I do regularly, but I’ve never tried it with spinach, that seems like a great idea ! I also always use yogurt, might try cream some time… Thanks for the tips ! Can’t go wrong with a good kheema. I usually eat it with rice, but chapatis are good too! 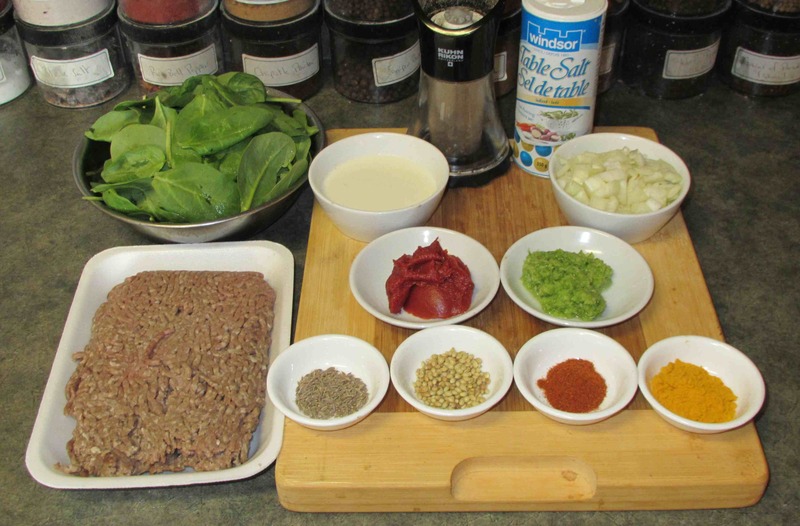 I blogged a curried mince too! My grandparents are from Bombay (Anglo) so I’ve grown up with much Indian fare. 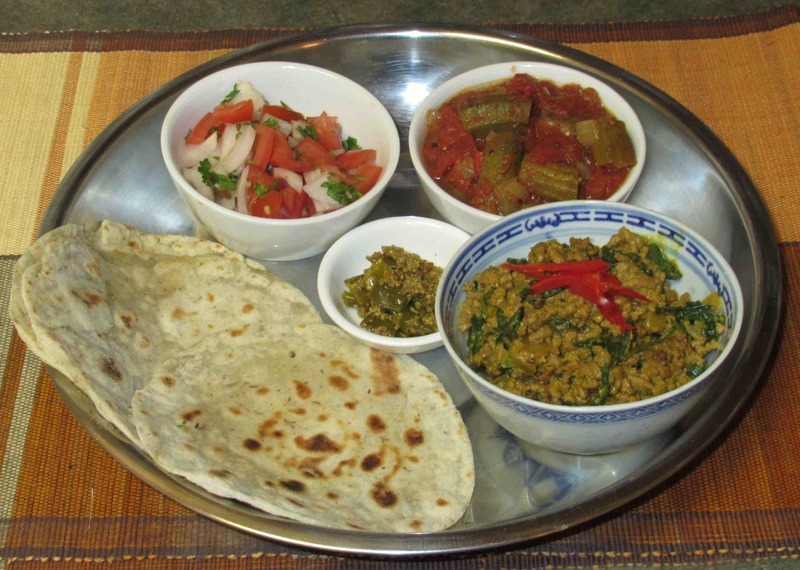 It is for my wife and I too … neither of us have Indian roots but my father was an accomplished cook of Indian food and I ate it ever since I was a little kid!